Your trust in Path has also motivated us to build a new feature we call Automatic. This amazing new feature enables Path to learn about you as you go about your daily routine. You can optionally choose to have your Path updated with stories about your life—automatically. For example, Path updates whenever you spend time in a new neighborhood. Or, if you travel to a new city, Path lets your loved ones know. 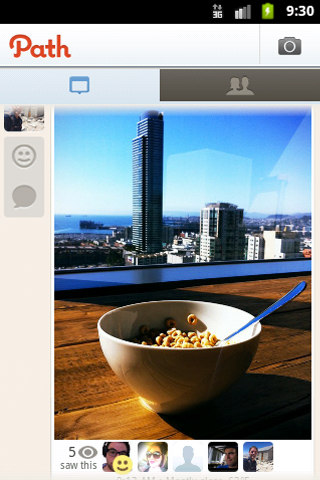 Path is now a journal that writes itself. Less effort from you, more stories in your Path. Have you been using Path at all? Do you feel there is a need for a less-open social network?